Robert Doty provides litigation consulting and expert witness services regarding disclosure and due diligence in municipal bond transactions, and the roles and responsibilities of parties, including issuers, conduit borrowers, underwriters and dealers, municipal advisors and counsel (bond, underwriter, disclosure and issuer counsel). Mr. Doty has served in each of those legal and business capacities during his 45-year career in the financial markets. Mr. Doty has extensive experience in the development of recognized and authoritative market guidance publications and has published numerous books and articles on municipal finance. Mr. Doty provides municipal bonds expert witness services and litigation consulting services. These are described in greater detail at http://agfs.com/. Given his unique combination of financial and legal experience, Mr. Doty is able to discuss municipal bond market and financial concepts in depth with legal counsel. Mr. Doty has participated in more than 145 consultations and has testified approximately 70 times in depositions and at trial. Mr. Doty participated as counsel, investment banker and financial advisor for more than 45 years in billions of dollars of successful municipal bond offerings, secondary offerings of municipal securities portfolios, workouts of defaulted bonds, and corporate finance transactions benefiting local governments and private corporations in approximately two dozen states. He continues to serve as consultant to, and municipal bond expert witness on municipal finance in consultation with, legal counsel to municipal securities issuers, underwriters, municipal advisors, bond counsel, trustees, investors and governmental agencies. Mr. Doty served as General Counsel to the Government Finance Officers Association, and served as a member of the GFOA Disclosure Task Force from the mid-1970s to 1991. He has served on the Board of Governors of the National Federation of Municipal Analysts and as a member and officer of NFMA Disclosure Committees. He was Chair of the Southern Municipal Fiance Society, and a member and officer of committees of the National Association of Bond Lawyers and American Bar Association. . He currently serves as Co-Chair of the Section on Economic Development/Finance and Securities of the International Municipal Lawyers Association. In his various roles, Mr. Doty has worked in drafting roles with several industry committees in the preparation of recognized and authoritative municipal securities disclosure guidance for issuers, underwriters and other participants. He is the author of numerous books and articles regarding municipal bond transactions. All states. Has testified as an expert on the finance industry in federal courts in Kentucky, Illinois and Iowa, and state courts in Arizona, California, Colorado, Connecticut, Florida, Nevada, New Jersey and Virginia; before Administrative Law Judges of the Securities and Exchange Commission; before arbitration panels of the Financial Industry Regulatory Authority; and by video before the special investigative Subcommittee of the New Mexico House of Representatives. Mr. Doty's extensive experience is reflected in his Curriculum Vitae at www.agfs.com. California, New York, Maryland, District of Columbia, Texas (inactive) and Ohio (inactive) bars. Mr. Doty has served as and worked extensively with municipal bond counsel, issuer counsel, underwriter counsel and counsel to trustees, investors private developers, and municipal advisors. Mr. Doty participates actively in municipal securities market financial and legal organizations, as reflected in his Curriculum Vitae at www.agfs.com. Mr. Doty' qualifications are reflected in his Curriculum Vitae at www.agfs.com. Mr. Doty is a frequent speaker on municipal bonds, as reflected in his Curriculum Vitae at www.agfs.com. 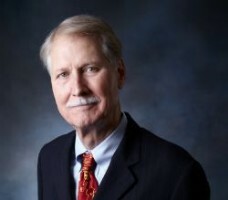 Mr. Doty is the author of numerous books and more than 80 articles regarding municipal bonds, as reflected in his Curriculum Vitae at www.agfs.com. Mr. Doty's is the author of EXPANDING MUNICIPAL SECURITIES ENFORCEMENT: PROFOUND CHANGES FOR ISSUERS AND OFFICIALS (International Municipal Lawyers Association, 2016). The book is available at IMLA.org. The book discusses significant expansion since early 2013 in the enforcement activities of the Securities and Exchange Commission relating to municipal bond issuers and officials. Mr. Doty also is the author of the BLOOMBERG VISUAL GUIDE TO MUNICIPAL BONDS (John Wiley & Sons and Bloomberg Press, 2012). The book is available at Amazon, John Wiley & Sons, and Barnes & Noble. The book discusses in plain English the diversity and complexity of municipal finance. In addition, Mr. Doty is the author of MUNICIPAL SECURITIES LAW & PRACTICE: REGULATION, DISCLOSURE AND ENFORCEMENT, 212 Securities Practice Series (Bloomberg BNA 2014), which discusses the pattern of securities regulation in the municipal securities market and enforcement actions over the past 45 years.